The Mercia Branch committee recently held its AGM at Jacobs house in Shrewsbury. We were very pleased to welcome two new committee members: Hannah Clarke and Owen Witherow, who both work at Jacobs. William Painter is now the branch vice-chair and Richard Harman has moved up to the role as chair. Mark Fleming and Trevor Fletcher remain as the branch honorary secretary and treasurer respectively. The branch committee currently has some vacancies, so if you’re interested in getting involved then please get in touch! It’s a rewarding way to give something back to our industry, helping other people develop as well as contributing to your own CPD. 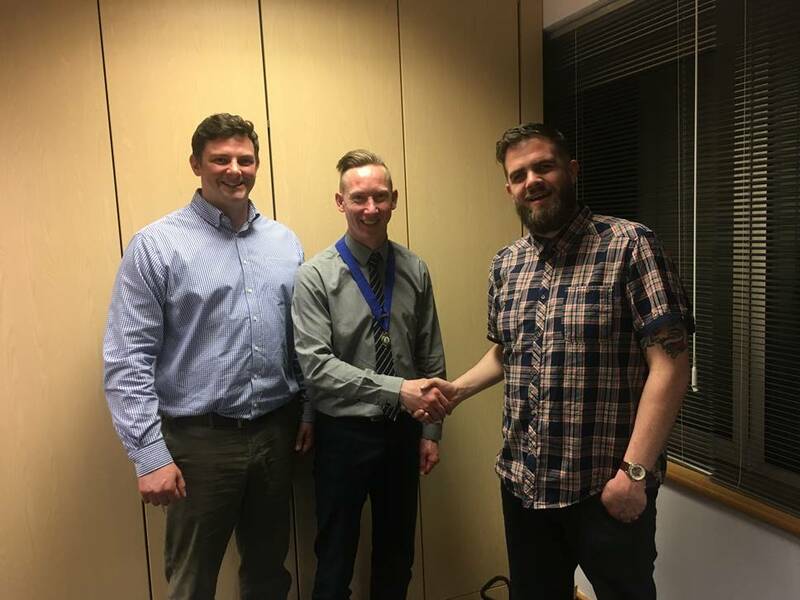 Pictured: William Painter (left) is the new branch vice-chair, Richard Harman (centre) accepting the role as chair from Daniel Byles (right) as the outgoing chair. Awards Evening 2019 – LAST CALL FOR ENTRIES! We’re delighted to announce that we have two main sponsors for 2019: Tracsis and Applied Driving Techniques.